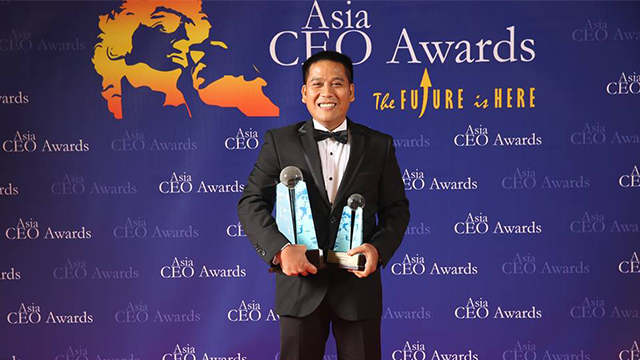 He may have admitted that his company has yet to generate “so much revenue,” but Ric Vincent Atienza, the managing director of iMaverick International Corporation (iMIC,) still managed to come home recently with one of the most prestigious business awards in the Philippines this year. The prize was the LBC Business Solutions SME Company of the Year award; it is one of the 16 honors handed out by the Asia CEO Award this year, and it saw iMIC besting two other finalists at the end of a lengthy, country-wide search. 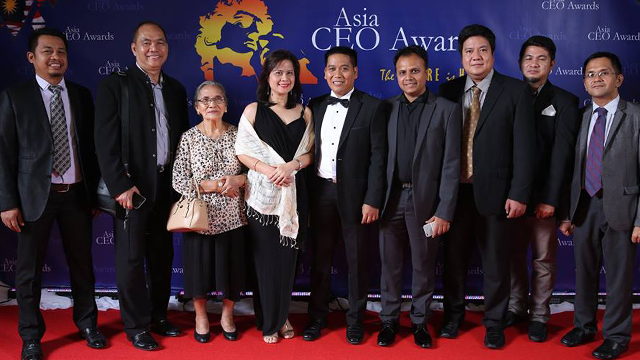 As a distinction handed by business luminaries, the SME award put Atienza on the same stage as some of the most notable bosses that currently have stake in the Philippine business sector. And for Atienza, this served as a form of validation, a sign that he and his company are heading to the right direction. As the exclusive distributor of Italy’s Bisazza Mosaico luxury tiles in the Philippines, the story of iMIC began in May 1998. This was when Bisazza entered the country through a semi-processing plant and distribution point originally operated by Bisazza (Hong Kong) Limited. The branch was eventually registered as a Philippine domestic corporation in 2001 and was named Bisazza Philippines Incorporated. Through this branch, Bisazza managed to popularize glass mosaic application in Philippine construction while managing to secure its place in the local high-end tile market. “Bizassa Philippines Inc., has been known to create [customized] solutions and services for its clients,” the company states. And because of this, the company has managed to earn the trust of big name clients in the local scene. About five years ago, however, the head honchos of Bizassa in Italy decided to pull out all of its investments in the Philippines. It was a move that would have destabilized the lives of Filipinos currently working for the local branch at that time. The full brunt of this, however, was circumvented when Bizassa’s former country manager stepped forward. Photo from iMaverick Intl. Corp.
“I became an accidental entrepreneur,” Atienza said, summarizing his experience. Collateralizing a number of his properties (“after consulting with my wife, of course,”) the man brought the company’s operation here in the Philippines and eventually turned the business to iMIC which sought to distribute Bisazza’s products in the local market. It was a risk to do such a thing, he admitted but “it was worth [it] because I can continue to give employment to my countrymen.” This capacity, however, came at a price. Speaking of weaknesses, Atienza also believed that businesses, no matter how stable they may seem, have them. And iMIC is no exception. 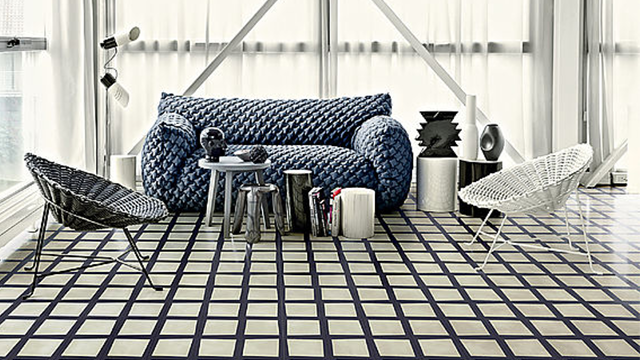 By virtue of its Bisazza connection, iMIC has an internationally-tested advantage that promised longevity. But vigilance is a trait most of this country’s celebrated leaders possess and as a man hoping to exhibit exemplary leadership for his company, Atienza kept his eyes open. Watchful of possible problems and heedful of growing trends, the man’s vigilance eventually led him to believe in a theory he declared before Entrepreneur Philippines as though it was nothing short of natural law: “You need to diversify in order to survive.” And he and his company did just that. 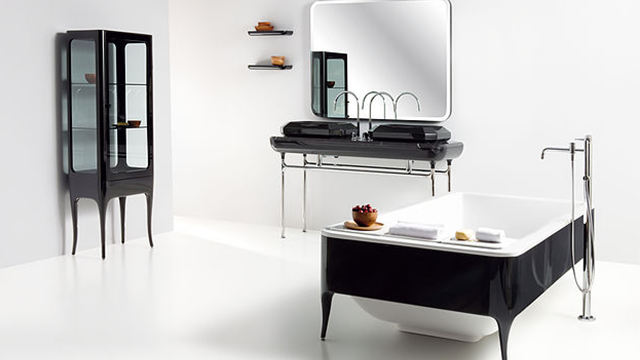 Under Atienza’s leadership, iMIC went beyond the distribution of Bisazza tiles and got involved in a new venture. 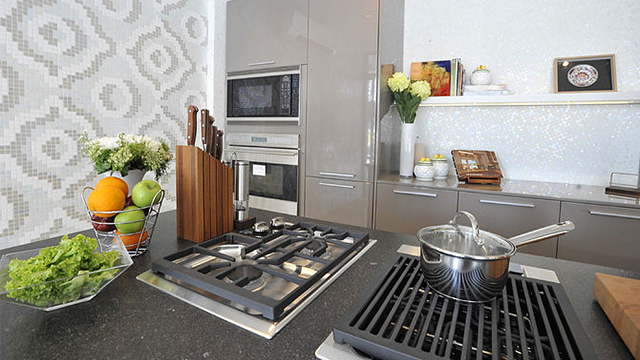 After acquiring a business that manufactures and designs modular kitchens and cabinets, they began operating iMIC Kitchensquare. Through this new venture, iMIC has evolved to a company that also specializes in designing and manufacturing customized and modular cabinetry. It also widened its reach in the high end construction market, thereby further diversifying its sources of income. Currently, iMIC is in the process of “planting seeds,” so Atienza said. The company wishes to continue its expansions and have taken steps with respect to this agenda. Recent expansions have yet to bear much fruit but he remains nonetheless bullish. “Hopefully, next year, we will already be harvesting,” he said. Of course the necessity for hope indicates a lack of certainty. And any lack of certainty qualifies as a risk. Atienza’s optimism, however, is not without reason. His after all was a business founded on a risk. And risks, as proven by the award earned by his company, can yield rewards worth the trouble.